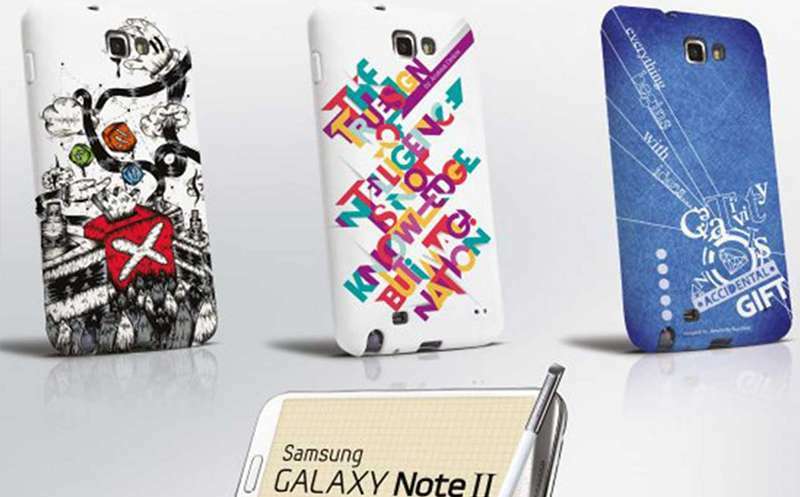 Samsung Electronic Hellas and AKTO Art & Design College launched the exhibition ‘’ It’s your time to be Creative’’ during which, they awarded 4 participants in a contest concerning the design of the new Smartphone Galaxy Note II Case. More specifically, Samsung invited 38 students of AKTO’s Graphic Design Course (in Athens and in Salonica) to participate in the contest ,during a period of time from October 29th to November 19th . Thus, the students were given the opportunity to demonstrate their creativity and their talent by combining art and technology. First winner was Dimitris Marinis. His design will be printed soon. The specific case will be distributed and sold, together with the Galaxy Note II phone, through PLAISIO Stores. All designs will be exhibited at EVDOMOS Multi Event Loft,4 ,Karageorgi Servias Str.-Stoa Kalliga-Syntagma Square., December 13th-16th , 10:00-19:00. Mr.Michael Moschos-Marketing Director of Samsung Electronic Hellas-has said “We are very happy to give to young students the opportunity to demonstrate their talent and develop their creativity. Samsung supports young talented people and will continue to do so in the future”.